This new city policy could cost you all your local merchants...AND your neighborhood! Recently, we've written about some of the unintended side effects of the City of Portland's drive toward accommodating an expected tide of new residents in the next quarter century or so. The latest proposed bunch of zoning changes were the subject of our editorial last month – on which we did not specifically take a position, but which we want to make sure all Inner Southeast residents are aware of. The densification drive has already created parking problems in parts of the city, including now parts of Inner Southeast, as we pointed out. Eliminating the providing of parking for tenants of new apartment houses – and there sure are a LOT of new apartment houses in Inner Southeast already, and many more are on the way – is supposed to allow more apartments to be built where parking might have been provided instead. It's also supposed to encourage the addition of some "affordable" apartments to apartment house developments, although the city policy that allows developers with multiple projects throughout the city to transfer any "affordable apartments" to less-in-demand parts of the city, from the high-rent-area projects where they are required, seems to defeat that purpose! The decrease in available parking while the city population is increasing also reflects an entirely different policy, too – the idea that cars are evil and owning one should be discouraged. Bicycles and public transit are supposed to be the answer, but some bike routes are hazardous and there are conspicuous holes in public transit – and anyway, the freedom that cars have provided Americans for over a century is not as easy to quash as it may seem. Many of the young renters of all the new apartments in Inner Southeast own cars. Some of them are buying new cars. And all of them are now having to park on the street, where nearby homeowners used to be able to park. All of this we have called to your attention. But there is one thing we haven't, yet – and that is a new city plan that may close your favorite small business. The city's business districts are aware of it and are increasingly alarmed. It has to do with retrofitting old buildings for better earthquake resistance. A good idea, you might think – now that we finally recognize that every few centuries we have unimaginably big, apocalyptic earthquakes here. And we might be due for one today – or sometime in the next couple of centuries, anyway. The problem is, the city seems to have overreacted, in a "guilty till proven innocent" scenario. It is talking about requiring hugely expensive earthquake retrofits for older buildings THAT CURRENTLY MEET CITY CODE. And you'd have to close the business and spend half a million, a million, or more, to do the retrofit over a year or two time period – unless you spend the considerable amount money needed to determine if it is actually necessary!! Chain stores and big businesses might be able to do that and survive – small business owners who own their own building are unlikely to survive that requirement. And the knowledge that this obligation is hanging out there would make it hard for the small business owner even to sell their building for anything like what it is worth; developers would have easy pickings among buildings they'd buy cheaply, demolish, and then reopen with new tenants. The small businesses that are the lifeblood of our city could be wiped out. "The Hawthorne Boulevard Business Assn. Board has seen that over 40 District buildings are targeted in the URM inventory and the proposed retrofit will lead to – presumably – unintended consequences. Clearly, without funding, mandating this retrofit project is irresponsible. This project is a larger community obligation that the community has not stepped up to fund. 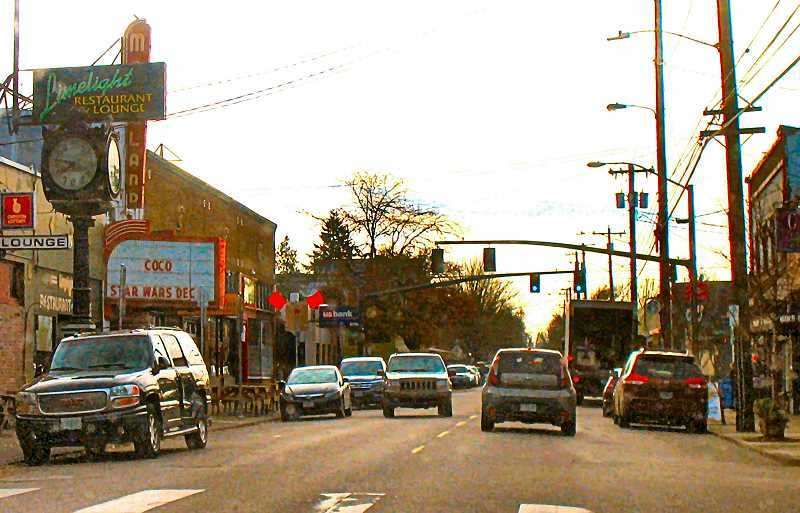 Approving any mandate is an invitation to decimate Portland's small, older buildings. "Do not do this to 1600 or more building and property owners in the name of safety and fear." If a building does not now meet code, this would seem to be a reasonable requirement. But, for those that currently DO meet code, it seems an irresponsible unfunded burden that is more likely to diminish the community than to improve it, in the view of this business association, and several others around Inner Southeast Portland. All these matters we have been calling to your attention lately will have an effect, possibly a negative one, on the livability and desirability of our city. Eventually it could so erode our desirability as a place to live that the anticipated in-migration ends and our city would start to decline. It's a possibility that should not be overlooked in these deliberations.